The Bath County Bass Fishing team competed in the Montgomery County High School Bass Fishing Series of the KHSAA Qualifier #2, competing against 27 Boats from Bath Co, Powell Co, Pike Central and Montgomery Co.
Saturday morning started off miserably cold with periods of rain, but concluding the National Anthem the Anglers were ready to hit the waters of Cave Run Lake as their Boat Numbers were called. 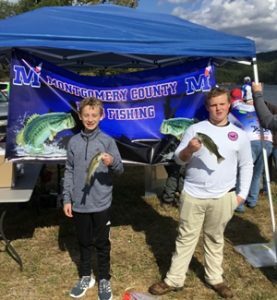 For the Bath Anglers, Jacob Conyers and Mason Emmons placed 15th with a total of 5 Fish weighing in at 2.460lbs. 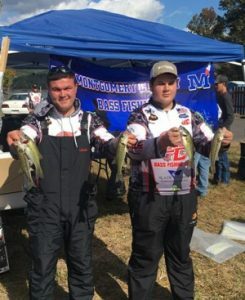 Spencer Pergrem and Jordan Davis placed 16th with 3 fish weighing 2.330lbs total. The Bath Co Big Fish of the day was brought in by Pregrem and Davis at 1.170lbs. 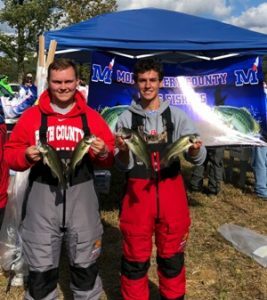 Mason Lyons and Logan George placed 20th and reeled in 2 fish at 1.455lbs. Griffin Fraley and Maycee Lyons were 25th catching 1 fish weighing .940lbs. 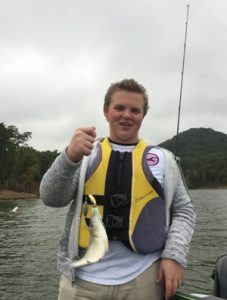 Dylan Ferrell and Gabe Crabtree also competed and fished well.